There are currently more than 30 million small businesses operating in the United States. And those businesses operate in hundreds of different industries. No matter what their industry is, they all have one thing in common: they need to be able to process payments. 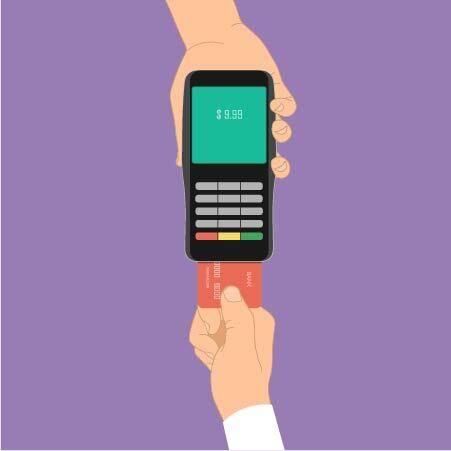 For most business owners, offering credit and debit card transactions is a no-brainer. But finding a company that offers the lowest credit card processing fees can be tough. Don’t panic. Here are a few signs you’re paying too much in fees and it’s time to start thinking about finding a new provider. Speaking of contracts…most processors out to charge you an arm and a leg often lock you into a long-term contract. It lets them secure your business even if you find a company that’s cheaper. These contracts can last as long as three years. And if you make any changes during that period, you might end up paying additional fees. Worse, they can add extra fees if you try to cancel before the end of your contract. The best way to protect yourself is to research the providers before you sign on the dotted line. Compare the costs, the fees, and the contract terms and make the decision that best fits your business and your budget. A lot of small businesses rely on their local bank to process credit card transactions. Many business owners make the mistake of thinking the big banks must offer the lowest fees based on their size; this is never the case. Big banks have big overhead. They pay this overhead by charging higher fees…to you. When you’re first starting out, it’s convenient. And with more than 183 million Americans having at least one credit card, you need a way to process those payments fast. By working with a dedicated processing company, you’re eliminating the extra fees, and will most likely find superior customer service from a dedicated support team in the same office, versus calling your bank’s toll free number. Every processing company is different and charges different fees for their services. But some take things to a new level. Understand each fee that you’re paying. A good, honest processor will be able to explain each fee on your statements, and can back it up with written detail from Visa and MasterCard online. You just have to know where to look. (hint hint…we can show you where to find this!) It’s normal for a processor to charge Interchange fees and to add a mark-up for their services, but they should be able to break down any fee in question. The best processing companies charge minimal fees and explain their prices clearly. If your processor can’t justify their own fees in a way that makes sense, it’s time to find a new provider. If you’re like most business owners, you try to save on the cost of equipment. That cost adds up over the course of the year. If your equipment is outdated, you’re definitely paying too much for your processing fees. Businesses with outdated credit card equipment will have outdated pricing programs! Much has changed in the credit card processing industry over the past several years. If you still have credit card machines that don’t accept chip cards…this is probably you. Take a look at your equipment and reevaluate your needs. If you have too many machines or machines that need replacing, you’re paying too much to the processing company. Processing companies often raise their rates twice a year. But that doesn’t mean you have to continue working with them. Take a look at your statements and check for any fee increases that have happened over the course of the year. A good method to determine this is to track your effective rate. To do this, divide the total fees by the total volume. Compare this over time and you will probably find an upward trend. All they need to do is give you 30 days’ notice and that notice is usually attached to your statements. If you don’t know the fees are increasing, you can’t compare providers and know when it’s best to switch. There are tons of seemingly low-cost providers out there ready to help your business accept credit cards. But those low costs are usually misleading. Let’s start with “flat rate.” They often include the equipment at no charge, but you really are paying for that equipment slowly over time. All processors (banks included) pay the same Interchange rates and fees for their cost. Some cards cost less than others. So a flat rate is going to have you paying the highest possible cards, and missing out on the discounts for the cheaper cards. You are leaving money on the table! It might have been fine when you first opened your doors. But when you’re growing, you need a processing platform that can grow with you. This brings us to the “free” processing. This is a complex situation to explain, but here’s what you need to know. Nothing is free. Everyone pays the same Interchange. Everyone pays the same card brand fees. Everyone must make a profit. If the numbers are moved around, it does not mean it’s free. When setting processing fees, companies consider the overall risk level of each business they accept. They base this risk level on the business’s stability, perceived risk of refunds, and the type of industry you operate in. If a processor determines your business is a “high-risk” operation, your fees will be higher than you might expect. But your risk isn’t the same with all processors. What one provider deems high-risk, another considers low-risk. It might be worth looking for a new provider. Making the switch to a different processor could save you hundreds in fees each year. Ask others in your industry for recommendations. This way, you’ll find a processor that is familiar with your industry and understands how your company operates. The best way to know if you’re paying too much is to ask other business owners in your area and your industry, or a trusted business professional. Tell them what you’re paying and if they seem shocked, you’re definitely paying too much. If this is the case, don’t hesitate to ask for recommendations or advice. Keep in mind that if you cancel your contract with your current processor, you could end up paying a hefty cancellation fee that might negate any potential savings. Do not be discouraged, however. We often find that the savings you will see will earn back your cancellation fee within a very short period of time…even just a few weeks in some cases. Looking for the Lowest Credit Card Processing Fees? Finding the lowest credit card processing fees can be tough when you’re first starting out. But you don’t have to hunt for long. Contact our team to see how we can save you thousands each year.